A Flash Crash in silver is no different than a flash crash in stocks, bonds, or anything else. It is the same root cause of all panics – the lack of bids. Every stock market crash ever since 1907 has been followed by an investigation with the theory that some huge player forced or manipulated the market down. During the 1930s, they summoned everyone and publicly asked if they were short. They found nobody but ruined the lives so so many people with outrageous claims. Fox of 20th century Fox lost the company because so many lawsuits were filed against him based upon groundless allegations on capital hill. 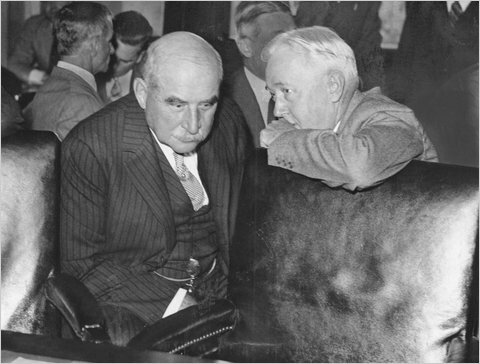 Herbert Hoover apologized for what took place saying that sometimes when a government becomes outraged it burns down the barn to get the rat. All Crash events take place because of the LACK of BIDS. It does not matter what time of day, they just do. If there was a solid underlying book of bids, a crash could not take place. The silver crash was no different. This is simply how all markets perform. The flash crash in silver took place on the weekly target for a turning point. This was indicative of the sale and the lack of buyers simultaneously. Today is 23 days up for the US share market and the retest of the low in gold and may provide the turning point for the week. The fact that silver crashed first is nothing strange. Gold and silver both have different cycles individually. 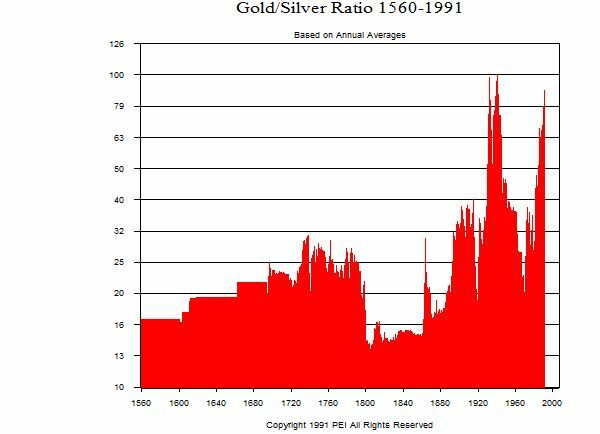 If this were not true then the silver/gold ratio would be a flat-line. There are different markets whereas silver tended to be driven more as an industrial commodity and gold as a luxury consumer commodity. These two distinct driving forces account for the wild swings in price differentials historically as illustrated by the chart above covering the ratio from 1560-1991. So is there anything to be drawn from the lack of bids? Nothing other than the fact that we are in a trend right now where governments have waged war against capital and are going everything in their power to (1) confiscate assets under any excuse, and (2) France is pushing to eliminate all purchases of gold and silver for cash in Europe period. All the trade shows for antiquities and coins that once proudly took place in Paris have been cancelled because the dealers were told they had to report everyone who bought and sold anything at the show. We are in the middle of a financial war against all assets. There is no risk of HYPERINFLATION because governments seem to believe they can solve the problems if everyone paid their taxes. In Europe, the bad loan may reach double that of the $700 billion bailout in the USA. But instead of printing, they cannot agree on that and as such the agreement is that whatever bank is in trouble, they will just take depositor’s money – that is DEFLATIONARY. They will NOT print their way to honor commitments. They will default and blame the people never themselves. The rally for the metals must wait for capital to first shift out of Europe, concentrate inside the USA, then then move toward assets and that may have to wait until the end of this current wave in 2015.75. However, the bulk of any decline in the metals should be accomplished here in 2013.